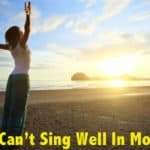 Home » Vocal Health » Why Eating Affect Singing Voice? You may wonder how it’s possible that eating affect singing voice but there is a deep relation between eating and singing. Whatever you eat and even the timings in which you eat have very crucial role in determining the quality of your voice. It’s not considered good to sing when you are hungry or with full stomach. What Should You Drink and What Should Be Avoided? Therefore it’s very important to change your eating habits very carefully, when it comes to singing. The most important thing is never eat just before you sing. As far as singing is concerned, eating just before singing is a horrible idea you should avoid. It may cause you to clear your throat while singing. On the other hand, if your stomach is full, your diaphragm will not be able to move properly. Burping and hiccupping will make unable to get sufficient air and that may cause trouble while singing, if you eat just before your performance. On the other hand, as far as eating and singing is concerned, starving yourself also is not a good idea. You should take light food before you sing. If you starve too much, you won’t have enough energy to perform. Singing with empty stomach may result in headaches or you may feel weak and sick while you sing. Moreover, your stomach could growl. As a result it may spoil your performance. No worry, there is an amazing relation between eating and singing. The best way is to eat a balanced and light meal at least an hour prior to your performance. It’s always to avoid heavy foods just before the show. The matter of the fact is that you need to take light but healthy food that give you sufficient energy without making you feel drowsy and uncomfortable. You might try foods such as eggs, energy drinks etc. They have lots of protein and easy to digest. When it comes to eating and singing, there are certain foods a budding singer should avoid. There are dairy products that may cause excess mucus in your nose and throat. Similarly, alcohol, coffee, excess tea, and junk foods are not good for a singer. Similarly, taking excess salt and spicy foods is also harmful for your voice. They can cause your throat harsh as they inflame the throat and vocal cords. Apart from these, avoiding soda or similar items that cause too much gas build up in your stomach is advisable. Cold drinks and foods are also harmful as these items may cause constriction in the throat. Eating and singing are not opposite aspects as it sounds, though. Taking lukewarm drinks such herbal tea are beneficial for your throat. Fish, chicken, eggs etc. are also great for eating and singing. Rice is another food that is good. Similarly foods such as almonds and apples are good for your voice. If your throat is sore just before a performance, eating and singing becomes more important. There are certain foods a singer can take right before the performance. Honey, for instance, is good as it relax the throat muscles. Doing gargling with baking soda or lukewarm salt water is also a good idea to soothe your throat. All these things are enough to prove that eating affect singing voice. For singer, voice is very important and specifically there are foods for singers that help in keeping their voices smooth and crisp. Singers’ performances would not be the same if their voices were not up to par. Therefore, the manner in which voices are maintained will determine how good a performance will be. These special foods are able to be helpful to singers throughout any kind of weather or season. It is not advisable for singers to consume any food that comes their way. The reason for this is that certain ingredients in food can be of harm to the voice acting just as fast as fuel would ignite inside an engine. To begin with, a singer who consumes fatty foods, chocolates or citrus foods prior to a performance is courting disaster. This is because the performer has to be light prior to any show and the foods mentioned above can be considered as heavy. In addition to this, the foods also hamper vibration by causing mucous secretion around the vocal cords. Extreme accumulation of phlegm is a consequence of the consumption of these foods and this will result in the clogging of the throat. Eventually, performers who are in this state will be forced to keep clearing their throat. The importance of water in life is similarly vital for a performers singing career. The purest form of water is of great importance here and not variations such as juice, tea or any others. Pure water is needed because the performer’s body needs to have adequate lubrication and moisture and this is more so for vocal cords. Without proper lubrication, ones vocal cords are bound to swell up, turn red and have some nodes form on them. Therefore, as you perform you need to ensure that water is always close by. At least one gallon of water has to be consumed in a day. It is highly advisable to do away with manufactured beverages which often have additives such as caffeine that is known to enhance dehydration. This is quite harmful for any singer’s voice. Sugar is also detrimental to a performer’s voice because it usually results in the excessive secretion of citric acid and mucous in large amounts causing phlegm. Avoiding sugar is highly advisable. Another drink to keep away from is milk which also promotes phlegm. It is unwise for singers to consume alcohol because it not only causes dehydration but also has sedative effects. To be able to sing properly, you should neither take anything too cold or too hot. The reason for this is that heat makes vessels within the throat, neck and head to enlarge. Drinks that are too cold on the other hand, make vessels to tighten and the tissues within to become dry. So then what is the most favorable option? Take lukewarm or cool drinks. Therefore begin to take a sufficient amount of water and ensure that you have a bottle beside you wherever you are. Begin to reduce dairy foods in your diet gradually and within no time there will be great improvement in your performance. If you are aware that you are a gifted singer or simply like singing, you had better hasten and begin by consuming appropriate foods and also look for a source that will help you compose original songs. If you’re a singer, you should take nutritious foods only to stay in good condition during your singing performances, and to keep your voice beautiful. The right foods recommended are those which contain low cholesterol, but rich in protein. Bean curb and black beans are essential sources of protein which are good for your vocal cord. These kinds of foods can be of great help to you when you’re having short in breathing while singing. Some of the highly-recommended foods are lean meat, fresh fruits and vegetables, milk, egg, mutton and beef. You should avoid too cold or too hot foods and drinks. At least two hours before your singing performance, you should not take hot or cold drinks. The reason for this is that they have a bad effect to your throat and vocal cord while you’re singing. The best drinks that you can take are those at room temperature. You should also stay away from spicy foods such as chilies, garlic, pepper and other spices. These are not proper foods for singers because they could harm your vocal cord and throat. One good thing that you can do is to exercise regularly and maintain a healthy lifestyle. To soothe your throat, you should take some fresh fruits at least 30 minutes prior to your singing engagement. You should eat healthy food like fresh fruits such as fresh apple and orange. Fruits contain useful fiber, nutrients, and vitamins that your body can readily absorb. Before you opt for the juice versions of fruits, you should first consider eating raw fresh fruits to maximize the nutrients that your body can get from these fruits. This may be very common advice that you would usually hear from voice instructors; but surely, this advice is the most useful to professional singers. If you intend to maintain the quality of your voice, you need to make it a habit of drinking room-temperature water. Always remember that you need to stay hydrated all the time as a singer, but you should refrain from drinking cold water because it may damage your vocal cord. The ideal thing is to hydrate yourself a day before your singing gig or show. As a caveat, you should understand that you are not adequately hydrated if your urine is still not that clear. 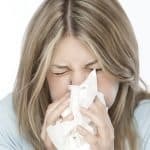 As a professional singer, it would be good to know the types of food that are rich in Vitamin A because Vitamin A can keep your mucus membranes healthy. Foods that are rich in vitamin A include those vegetables like squash and sweet potatoes. Fruits like melon, mangoes, and peaches are also rich in vitamin A. Dark leafy greens like kale and spinach are also teeming with Vitamin A, as well as meat and eggs. Food that is rich in protein should also be included in your daily diet. Fish, for example, is rich in protein. Hence, you should never be without fish in your diet. You can complement your vitamin-A rich food with protein-rich food like fish so that you can further enhance your vocal capability. Honey is a very beneficial food for enhancing your singing capability. A spoonful of honey in your decaf tea or glass of water can readily do the trick for you by coating and soothing your throat. It would be advisable to drink a glass of water with honey first thing in the morning or after completing your singing performance. Honey has that uncanny way of soothing the throat despite it being mostly composed of sugar. It is also known to exhibit antimicrobial and antibacterial properties that could help prevent the onset of a sore throat. Avoid drinking caffeinated beverages 2 or 3 hours before you sing. Drink plenty of water at room temperature. Stay away from iced beverages at least 2 to 3 hours before your singing performance. Stay away from hot beverages before or while singing. To maintain your energy and gain hydration, eat fruits with high content of water. The right foods for singers also include fresh vegetables containing high amount of water to keep you hydrated. 17 Things That Will Destroy Your Singing Voice Forever! Why I Can’t Sing Well In Morning? Is honey good for singers?